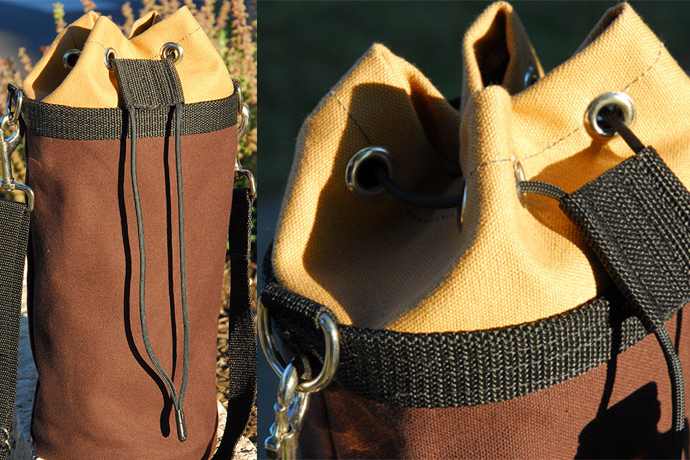 For those who walk or bike to a favorite taphouse, this handsome growler bag will keep those beers nice and cold on the way home. Handmade in Ohio, this heavy-duty 18-oz canvas has metal hardware, an adjustable strap and high-tech triple-layer insulation. The bag fits a half gallon (64 oz) growler bottle that is 4 3/4 inches in diameter. Available from Etsy.